Saahil Arora is a 27 year-old American gamer also known as UNiVeRse hails from Wisconsin. Having been in the esports scene for a couple of years, he is considered to be a respected Dota 2 offlaner playing for Fnatic. Striving to be the best player possible, has helped his past and present teams win the prestigious tournaments. The more you learn about him, the more obvious it becomes as to why he is one of the top and highest earning esports athletes in the world. Discovering new planets and space was always something that interested Saahil. His passion for astronomy was the reason why he chose his nickname ‘UNiVeRsE’. His friends in high school used to play the video game, Starcraft, intriguing him to start competing in video games with his friends just for fun. Fnatic is an esports company that was established in 2004 by Sam Mathews, Anne Mathews and Joris Van Laerhoven. The gaming association has headquarters based in UK with offices in Australia and The Netherlands. FNC started out with a Counter-Strike team and eventually expanded with units that compete in Dota 2, FIFA, Heroes of the Storm, League of Legends, Rocket League and VainGlory. 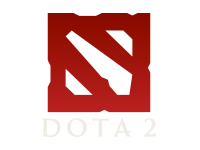 Fnatic created their Dota 2 team in 2011 with the Serbian former Gamerleague unit. Since then the squad has gone through changes to find the best players to represent FNC at esports tournaments. Since August 2017, Fnatic have signed on the top esports players, EternalEnVy as team captain, Abed, DJ, Universe and pieliedie who will continue to compete in prestigious gaming tournaments. Saahil’s gaming skills proved to be a success in the upcoming events, playing heroes like the Dark Seer and Faceless Void. While playoing for his previous team, Evil Geniuses, they were invited to The International 2014 which led them to becoming the favourite to win the biggest tournament of the year. Competing in The International 2015 was the most successful event for UNiVeRsE as a player. Evil Geniuses won over team CDEC in the TI5 finals winning a prize pool of over $6.6 million. RedBull named Saahil as the MVP of the Tournament for his high-level offlane game play with heroes Clockwerk and Earthshaker. Saahil has had the opportunity to play with Team Secret together with his fellow squad member, Arteezy in March 2016. After placing last in The Manila Major tournament, UNiVeRsE left to join once again Evil Genuises. Continuing his reputation as the consistent player, he competed in the International 2016, winning 3rd place with a sensational prize of over $2 million.